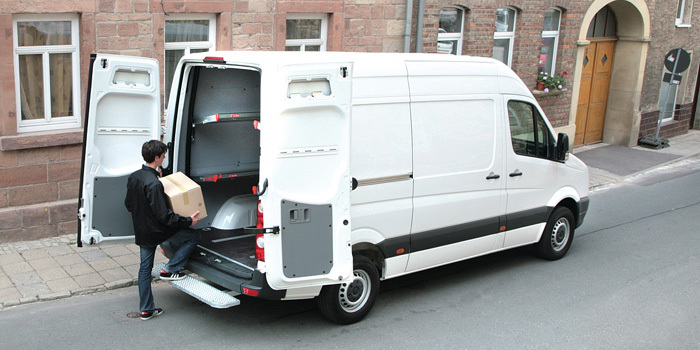 The SOMMER TA is an innovative panel van shelf conversion which stands out due to its numerous practice-oriented solutions and additional benefits. The extremely light structure (from around 200 kg upwards) is nevertheless very robust: with an approved working load of 200 kg respectively, the foldable shelves have set new standards in this class. The intelligent connection of the shelving to the original superstructure allows optimal utilisation of space with 520 mm to 550 mm wide shelves and a particularly wide central gangway. Optimisation of the driver´s cab as well as the partition wall with stable sliding door are features of the SOMMER TA standard equipment. An automatic loading area locking system is available as an option. In addition, the SOMMER TA shelf installation system is available as a construction kit for many van models and can be retrofitted without requiring any preparatory work at the plant. The wide aluminium shelves are foldable which means the loading area is also suitable for larger-sized goods. When folded, the shelf flooring is accommodated between the vertical shelf supports. Thanks to the lashing rails in the shelves and on the floor of the loading area, the load can be secured quickly and reliably in all directions including when the shelves are in a folded position. 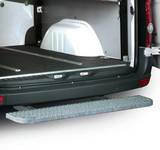 A non-slip, wide step fitted directly under the rear door ensures safe loading and unloading procedures. The special mounting prevents any damage to the vehicle frame in the case of a collision. The securely-mounted partition wall is equipped with a very stable sliding door and provides the best level of protection against shifting loads. The driver´s cab is fitted with checker plate in the entrance/exit area and reaches 1.90 m standing height. 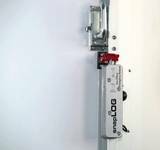 The optional locking system is coupled to the vehicle´s central locking system and automatically locks the loading area doors and thus provides a high level of security.